Contemporary football magazine publishers must look back at circulation figures from the 60s and 70s and weep. This was a golden age of sporting periodicals: Tiger, Scorcher, Score and latterly Roy of the Rovers were among the biggest football-orientated comics and their sales were huge – Tiger reached a circulation peak of around 300,000 copies. At the more serious end of the market there were just as many titles competing for shelf space. Soccer Star, Shoot, Goal! and Charles Buchan’s Soccer Monthly dominated this field and they could shift just as readily as the comics – the Charles Buchan magazine was selling 250,000 copies a month in its late 1960s peak. Whilst both football-publishing segments were catering for slightly different audiences, each kept an eye on the sales to be had from the other. It led to plenty of crossover between the genres: the comics would dedicate space to coverage of ‘real’ football – usually fluffy interviews with high-profile internationals of the day, while equally, if less successfully, the serious magazines would dabble in non-fiction cartoons. 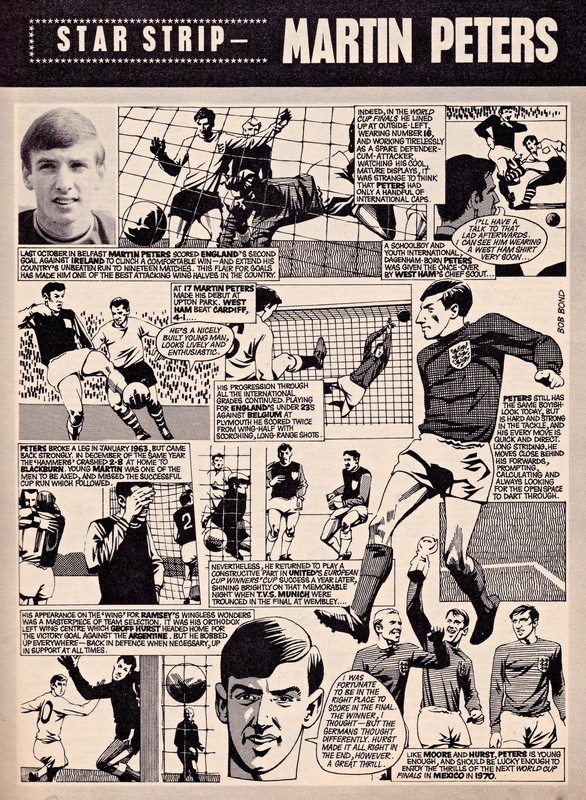 The aforementioned Charles Buchan’s Soccer Monthly ran a regular comic-strip series called Star Strip. The premise was simple enough – each edition was a simple, single-page retelling of the career to date of a high-profile British footballer. It seemed conceptually sound and yet, after reading a handful of frames, you start to understand how awkward it is to try to concertina together two conflicting formats – text-based factual prose and fictional cartoon hyperbole – into a single, coherent piece of work. Fictional cartoons tell stories that are exaggerated dramas, yet the stories of worthy but often dull footballers from the English top flight were, on the whole, inherently undramatic. Unless you were George Best, your story would invariably feature the same staple events – debut, transfer to bigger club, a trophy win here and there and international recognition. Star Strip can’t really follow this same route and instead tries to get round the problem by dedicating several frames to just a head and shoulders shot of the individual, casting him temporarily as a narrator. He faces directly towards the reader and reels off the events that are too boring to be worthy of their own frames. It’s a little like an actor breaking the fourth wall and feels a somewhat awkward resolve, yet the overall effect of Soccer Strip’s well-intentioned if clumsily compromised execution is something both wonderful and awful in equal measures. 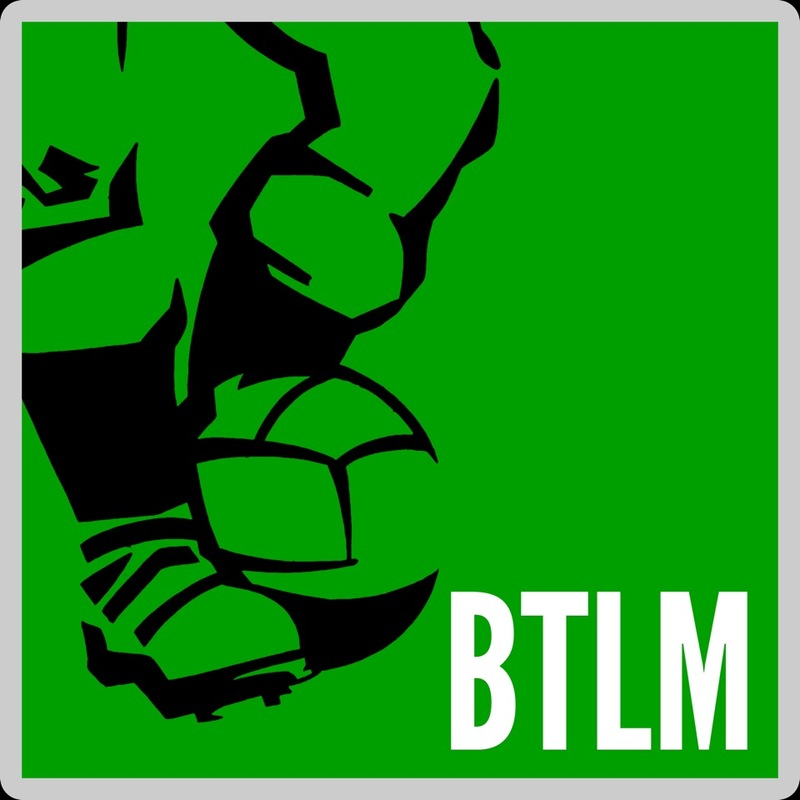 We’ll be reproducing a number of the Star Strip series on BTLM in the coming months. Our first featured player is that midfielder who was thought of as perpetually 10 years ahead of his time – Martin Peters of West Ham and England. We capture him in early 1967 with his career in the ascendency. Aged just 23, Peters was an automatic England choice despite having first been capped for his country less than a year earlier. Peters would become Britain’s first £200,000 player when he transferred to Tottenham in 1970 and he would later have spells with Norwich and Sheffield United before he retired in 1981. You can click on the strip to enlarge it.